All matting sizes are approximate. Depending on specific mats, there is slight variation in size. Most matting shrinks during the manufacturing process resulting in an inexact trade size. Most Logo mats have a manufacturer’s tolerance of approximately +/- 2-5%. The color swatch images that are seen on the computer for each mat may vary from the actual color on the delivered mat. The colors online may be greatly affected by your monitor and setting. Badger Mats LLC cannot guarantee that the color you see is completely accurate of the actual mat color. We do not accept returns based on color. All Logo Mat orders will have an artwork proof created before production. An artist will create a proof based on customer color requests and layout. A proof will be emailed to customer for signature approval before order is placed. Please note: The colors on the computer palettes may vary from the actual color on the finished mat. All orders will be shipped via UPS, FedEx Ground, or LTL Freight when appropriate. FOB (also known as f.o.b.) Shipping applies to all orders. Shipping cost is determined by items’ size, weight, and destination address. Expect custom cut matting and logo mats to be shipped in approximately 7-14 days. We will ship without signature required unless otherwise requested. Please note that items ordered together may not arrive in the same package. Large items will be shipped via freight carriers. You may need help in bringing it inside the house or office. In anticipation of your delivery, we advise you that there should be someone present to receive the items. For expedited delivery, please contact our customer service department before placing your order. Free Shipping promotions exclude Alaska, Hawaii, and U.S. Territories. Shipping charges may change due to specific customer delivery requirements & any accessorial charges that arise. If a product is defective or damage upon arrival to the customer, Badger Mats will replace the item at no charge. The customer is responsible for inspecting the product before accepting delivery. If the product is defective or damaged, the customer must refuse it. If customer does not refuse defective or damaged product, Badger Mats is not held liable for product replacement. Any damages or shortages should be documented on the freight bill and must be reported to Badger Mats within 3 business days. Badger Mats LLC is not responsible in any way (including, but not limited to, legal responsibility) for any defective products sold, misuse of any products sold, or negligence by the customer. Badger Mats highly recommends and requires all customers to make sure they have received the proper product(s) immediately upon receipt. Be sure the products are in proper working order and ample condition before use. In addition, we urge all customers to become fully educated on their product(s) before using them. Badger Mats LLC reserves the right to refuse its Website Services to anyone should it believe that the Website Services have been or are being used for any unlawful purpose and take any further action as permitted by law. Intentionally or unintentionally violating any applicable local, state, national, or international law, or any rules or regulations thereunder. Disseminating or posting harmful content including, without limitation, viruses, Trojan horses, worms, spyware, or any other computer programming routines that may damage, interfere with, secretly intercept, or seize any system, program, data, or personal information. Badger Mats LLC maintains a strict policy forbidding any spam or misuse of email services within its Website or Website Services. Seeking to obtain private financial information from any Consumer. Purchase Orders are a very favorable way for many businesses to place orders. 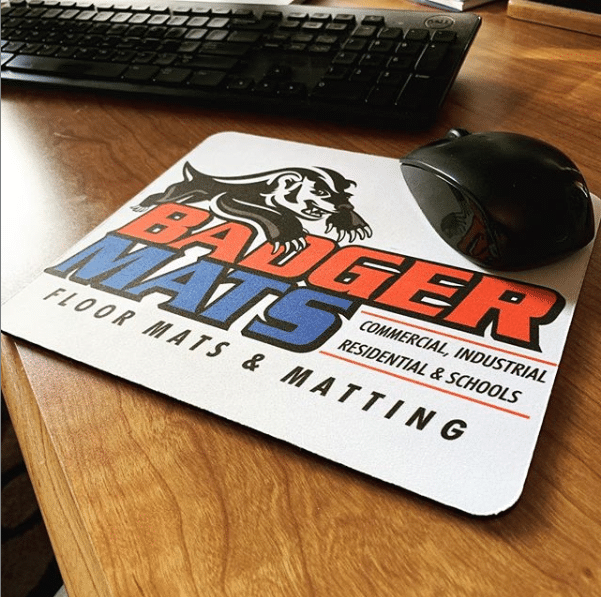 Be sure to contact Badger Mats LLC for prior approval of all purchase orders. Badger Mats LLC may collect information about our customers including but not limited to name, address, email, and phone numbers. We respect your right to privacy and your desire for a secure online shopping experience. Our customer information is kept safe and secure. All information is kept strictly for in-house use only and will never be sold, rented, or traded to any other company or individual for any reason. Badger Mats LLC is proud to offer you the most comprehensive selection of high quality floor matting in the industry at a most competitive price. If you find that our prices are higher than our competitors, Badger Mats LLC will match or even beat that price. The products must be identical in comparison and able to provide a way to validate the lower priced product with all fees (price, taxes, freight and other fees). All matting includes a manufacturer’s 1- year warranty and will be honored so long as there was no evidence of negligence of the product and it was properly maintained since it was received by the customer. If the following conditions above have been met, a customer is able to exchange for another mat, however the customer is responsible for shipping and for the difference in price if the new mat is of greater value. We recognize the potential for typographical errors within product specifications, sizing, pricing etc. In the event of a pricing error, the customer will be contacted with explanation and adjustments made to correct the error. Badger Mats reserves the right to cancel with refund prior to shipment or amend any order to correct the mistake. Badger Mats LLC reserves the right to delete, edit or modify any of the product pricing, terms and conditions online to our sole discretion at any time without notice. The changes shall be automatically accepted with no alterations to viewing, shopping or ordering online. Badger Mats LLC reserves the right to refuse service/sales to any customer or business. If you are dissatisfied with the Website or the Website services or you have any dispute with Badger Mats in connection with the same or these terms and conditions then your sole and exclusive remedy is to terminate your account and cease using the Website and the Services. We specifically do not warrant or guarantee (a) that the Website or Website services or any portion thereof will be free of infection by viruses, or anything else manifesting contamination or destructive properties, or (b) that the functions performed by the Website or the Website services will be uninterrupted or error-free or that defects in the Website or the Website Services will be corrected. Badger Mats shall not be held liable for any special, indirect, incidental or consequential damages arising out of or connected with these Terms and Conditions or with any of the services provided hereunder regardless of whether caused by Badger Mats, its agents employees, subsidiaries, representatives, assigns or otherwise. Badger Mats shall not be liable for any damages resulting from the use of items purchased through the Website. The parties have read each of the terms in the Terms and Conditions and consider each of them, including all subparts, to be reasonable.